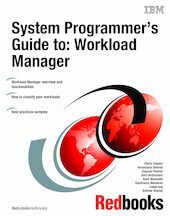 This IBM Redbooks publication gives you a broad understanding of the Workload Manager component of the z/OS system. It covers basic aspects of Workload Manager (WLM) together with the new functions available in z/OS V1R8. The book provides a discussion about how to create WLM policies based on business goals and the types of transactions that you run in your systems. This book also provides information about how to implement the WLM functions, in addition to suggestions about how to classify the different workloads to WLM so that it can best manage the different types of units of work. You will find information for effective performance analysis and a description of how to use the WLM functions to achieve better throughput in your environment. This book also provides best practices samples to better understand how to set up your classification and tune it.